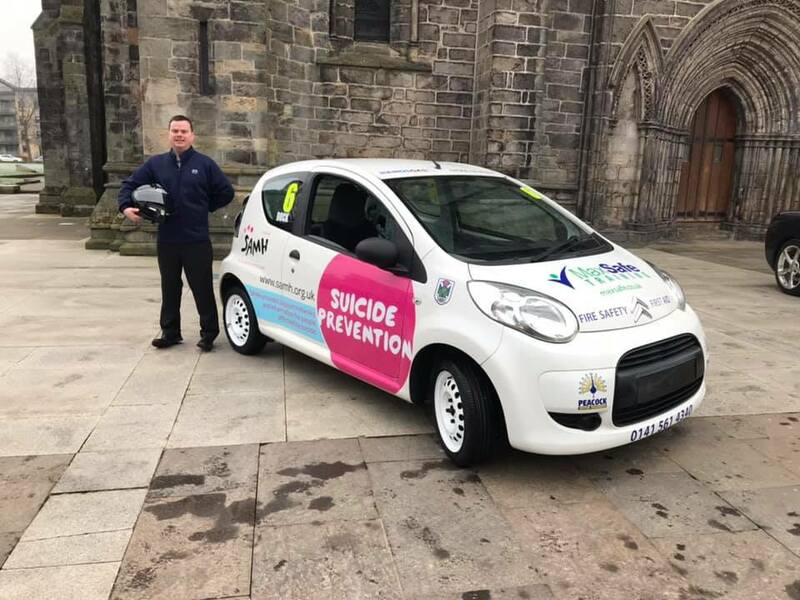 In 2019, the SMRC volunteer workforce will benefit from a fantastic new mental health training initiative, thanks to new Citroen C1 Cup competitor, Kenny Dock, and the Scottish Association of Mental Health (SAMH). This new initiative will provide up to 90 marshals with the opportunity to go through Mental Health Awareness training; this training helps people to spot the early signs of mental health issues and provides some basic guidance on how to deal with them. In addition, a further 12 senior marshals, will have the opportunity to go through a more intensive two day ‘Applied Suicide Intervention Skills Training’ (ASIST) course. ASIST aims to enable helpers (anyone in a position of trust) to become more willing, ready and able to recognise and intervene effectively to help persons at risk of suicide. “I’ve been an avid spectator at SMRC race meetings for many years and have always dreamed of making the jump into racing but have never had the financial means to do so. The cost effectiveness of the new Citroen C1 Cup represented a viable route for me to get behind the wheel. After some discussions with the SMRC, it also became clear that there was an opportunity to use my experience and connections, to pull together some support for the volunteers that make the race meetings possible. “The SMRC have in the region of 90 volunteer marshals who help deliver safe and efficient race meetings. Many of our team fall into the high suicide risk 15-34 year-old male group. Suicide and mental health awareness has undoubtedly become more prevalent in recent time. Sadly though, it is a subject that has already impacted our team. With this in mind, we’re hugely grateful to Kenny and SAMH for pulling this programme together and look forward to starting the training. Knockhill will also be supporting the initiative through the provision of a room for the training, which is expected to start within the next couple of months. The training will primarily be delivered by Kenny’s colleague, Paul Phillips. Paul is also a Senior Mental Health Nurse and big motorsport fan; he is generously donating his time to support the initiative and to give Kenny more time to concentrate on his racing! “As a club, the subject of mental health and suicide prevention, is one that is close to our hearts. The training package that Kenny has been able to pull together – in conjunction with SAMH and his colleague Paul – for our volunteers, is absolutely incredible. Kenny has created a Just Giving page, to help him in his quest to raise awareness this year. It can be found here.